Mother’s Day; new babies; weddings; engagements; birthdays; Christenings; Father’s Day; anniversaries; new home… The possibilities are endless. 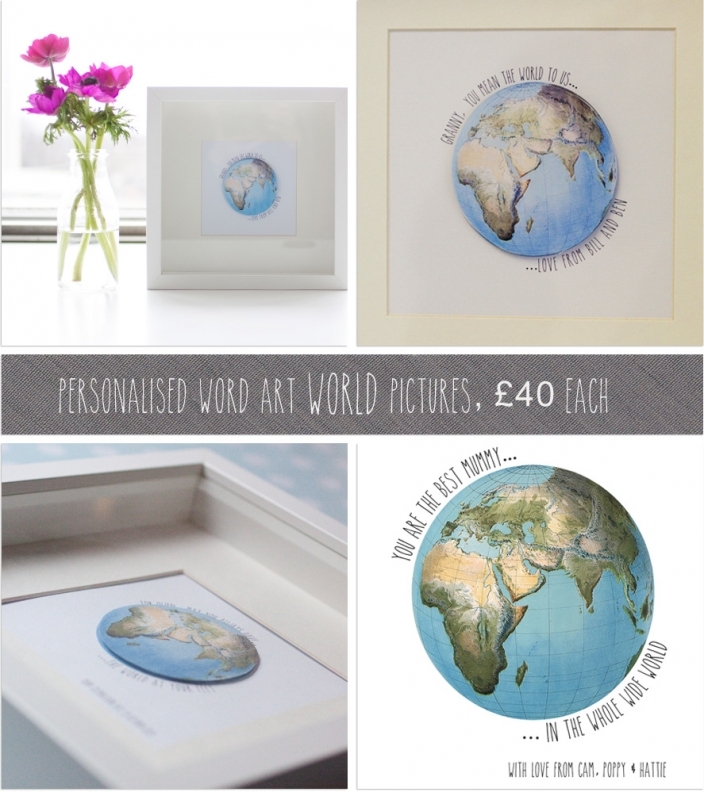 I offer two main designs, the ‘world’ design and the ‘loves’ design. 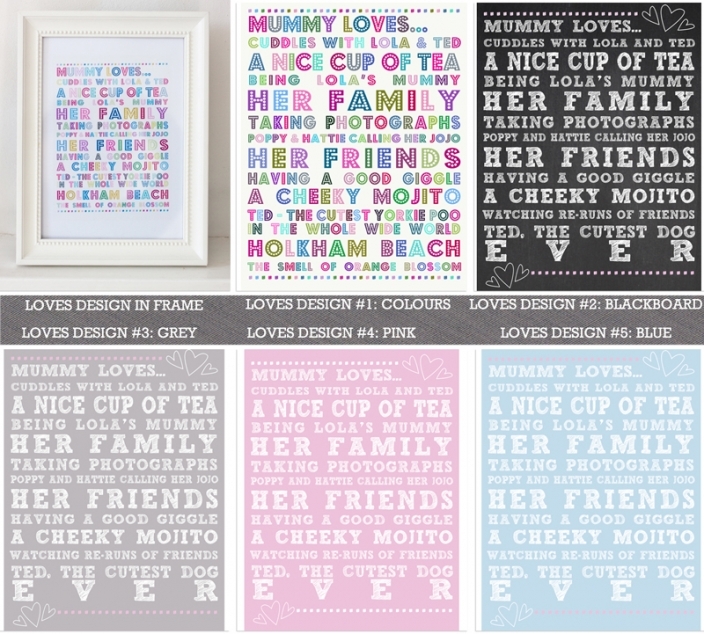 They can be adapted to suit mums or dads, kids or grown ups and they come are available framed or unframed. All you have to do is choose your favourite, decide on the wording you’d like and then click here to order.